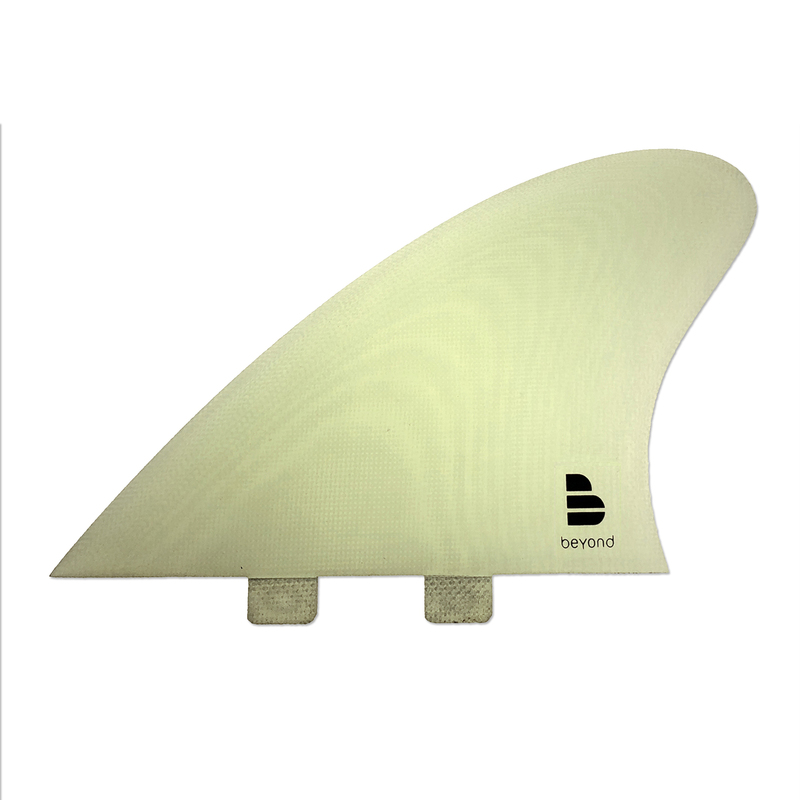 Beyond G10 KEEL Fins - FCS compatible as a modern classic. High class fashion in a post-modern beach-break classic. The rare Beyond® KEEL G10 sets. Designed for extra long lines from Twinnies, Fish and modern surfboard designs where both looseness and drive with easy transition is required. 20% foiled inners, and 80% easy-foiled outers give noticeable speed and less drag, especially over V tails and lightly concave bottoms. A very modern design in G10 – multiple layers of a fine 2 oz fibreglass cloth in 22 layers of supreme quality. The glass has to be super clean, and finished perfectly. The resin matrix can be tinted, but we choose not too, to keep its original look and not to compromise the flex or design. Options are High Aspect KEELS in Volan for FCS, or the Ultraglass Red, Black or Special Edition for FCS. Available in Futures base in limited quantities. Rare, high class fashion in a post-modern classic. The Beyond® KEEL G10 sets. Designed for extra long lines from Twinnies, Fish and modern surfboard designs where both looseness and drive with easy transition is required. 20% foiled inners, and 80% easy-foiled outers give noticeable speed and less drag, especially over V tails and lightly concave bottoms. A very modern design in G10 – multiple layers of a fine 2 oz fibreglass cloth in 22 layers of supreme quality. The glass has to be super clean, and finished perfectly. The glass can be tinted, but we choose not too, to keep its original look and not to compromise the flex or design. Options are High Aspect KEELS in Volan for FCS, or the Ultraglass Red, Black or Special Edition for FCS. Available in Futures base in limited quantities.